We are very excited to announce the CoolSculpting Mini with simple, easy treatments, affordable treatments your double chin can literally be frozen away, leaving you with a sleek, contoured, and simply beautiful neck, jawline, and chin. 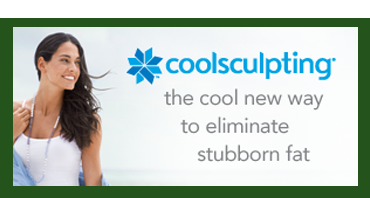 The CoolMini™ applicator harnesses the same fat-freezing technology as CoolSculpting®, but is specifically designed to target small volumes of fatty build-up that can be difficult to eliminate with traditional invasive and non-invasive technologies. The concept for CoolSculpting came from the simple observation of watching children eat popsicles. Renowned Harvard University scientists, Dieter Manstein, MD and R. Rox Anderson, MD, observed that some children got dimples due to eating popsicles. Skin is very tolerant to colder temperatures and can be exposed to cold temperatures safely, while fat cells are intolerant to cold. From that he devised a way to use cold selectively to affect and eliminate fat cells without damaging the skin or surrounding tissue. This is the insight and scientific insight behind Cryolipolysis®, (selective cold application) the proven science on which the CoolSculpting procedure is based. Previously, treatment choices for double chin or small pockets of fat in the facial and neck area involved invasive procedures such as surgery or micro liposuction. Advancements led to “non-invasive” technologies using laser, light or other forms of energy such as radiofrequency and ultrasound to heat the fat under the skin. This heat essentially cooked the fat, as a result of the treatment processed caused pain. 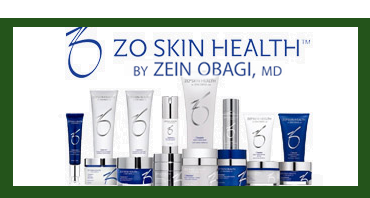 These treatments involving pain, many damaging the skin and resulting in scarring. CoolSculpting is very effective at fat reduction, eliminating pockets of fat but is not an Alternative to weightless treatments. A common misconception that weight loss and fat reduction are the same thing. When we lose weight, our fat cells become smaller, but the number of fat cells remains the same. When we gain weight, those fat cells become larger again. CoolSculpting treatment actually reduces the number of fat cells in the treated areas. Obviously, fat cells that are no longer there can't get bigger. After the CoolSculpting procedure, the treated areas actually have fewer fat cells. And unlike what happens with other procedures, there's no change in fat cell distribution in untreated areas.